﻿ Hotel Katha, Myanmar | FROM $10 - SAVE ON AGODA! "the point is that you have modern comfort in the north of My..."
Have a question for Hotel Katha? "Clean and comfortable, aircon, minibar, tv." "Quiet location, all Orwell sites are within walking distance and you can borrow Burmese Days from reception to refresh your memory!!" "Beautiful garden, very friendly and helpful staff." 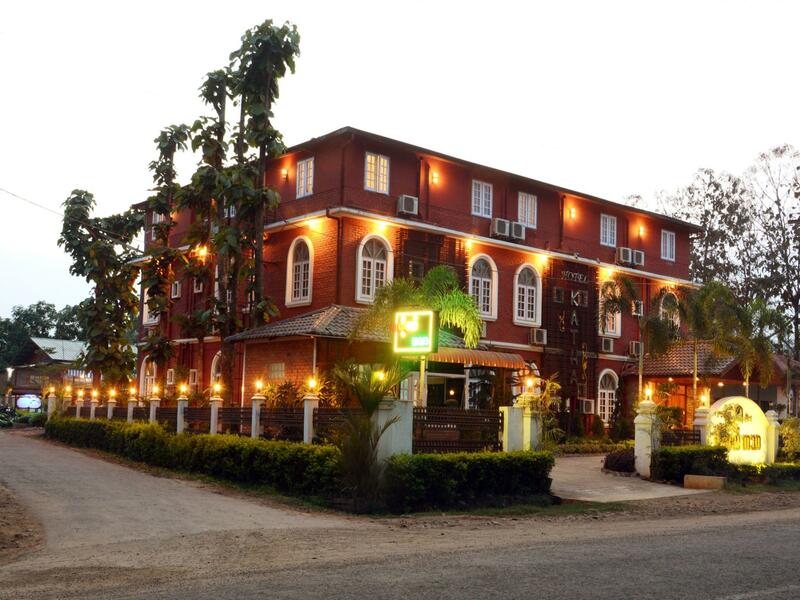 Conveniently located in Katha, Hotel Katha is a great base from which to explore this vibrant city. With its location just from the city center and from the airport, this 3-star hotel attracts numerous travelers each year. With its convenient location, the hotel offers easy access to the city's must-see destinations. 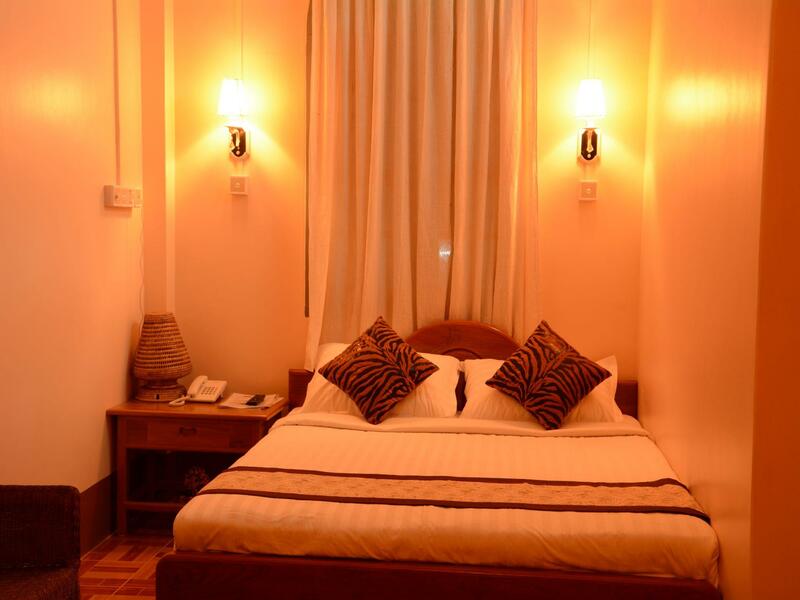 Take advantage of a wealth of unrivaled services and amenities at this Katha hotel. The hotel provides 24-hour room service, free Wi-Fi in all rooms, 24-hour security, daily housekeeping, taxi service to ensure our guests the greatest comfort. Step into one of 30 inviting rooms and escape the stresses of the day with a wide range of amenities such as television LCD/plasma screen, clothes rack, complimentary instant coffee, complimentary tea, linens which can be found in some rooms. The complete list of recreational facilities is available at the hotel, including garden. Enjoy unparalleled services and a truly prestigious address at the Hotel Katha. "Very good breakfast buffet, with daily changing options." Not big enough to swing a mouse in, let alone a cat! Lovely garden, very good library and well- appointed building. Staff most helpful. Everything is perfect. Go there. i stayed in a single room with en suite bathroom. 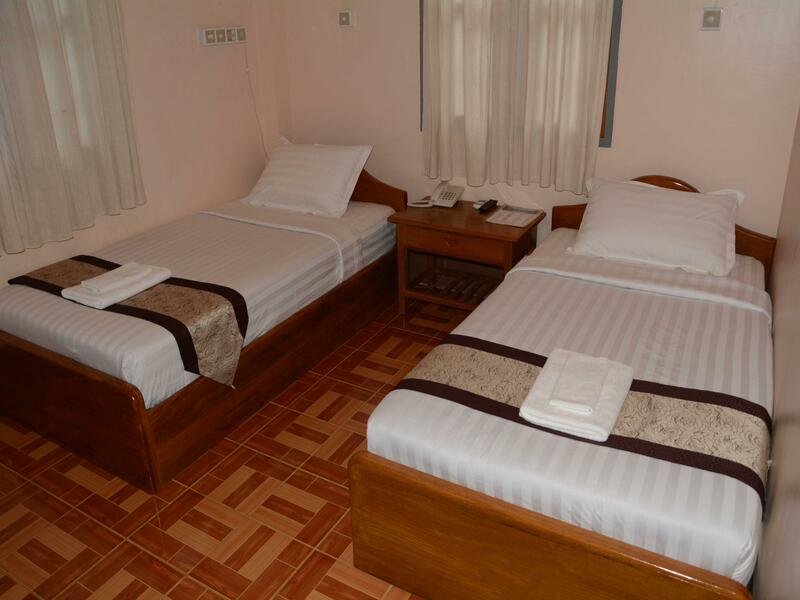 clean and comfortable, aircon, minibar, tv. very good breakfast buffet, with daily changing options. beautiful garden, very friendly and helpful staff. unfortunately, as i wanted to pay in kyat, due to an unprofitable exchange rate that the hotel had set, i had to pay $18,50/night in the end. We stayed here on 2 occasions, with a side trip to Bhamo in between stays. The hotel staff took it on themselves to meet us off the boat on our return, and booked train and bus tickets for us with no commission charged. Quiet location, all Orwell sites are within walking distance and you can borrow Burmese Days from reception to refresh your memory!! Wohl das beste Hotel in der kleinen Stadt. Sehr sauberes Zimmer und Bad, einfach eingerichtet. Leider gab es kein warmes Wasser zum Duschen, was der Mitarbeiter aber sofort am nächsten Tag überprüft hat (und dann funktioniert hat) Frühstück traditionell, appetitlich angerichtet. Wir haben noch eine Nacht verlängert weil wir dann doch einen Tag Aufenthalt machten in der Stadt bevor wir per Expressboat Richtung Mandalay weiter reisten. Eine hübsche Stadt mit vielen alten Häusern und freundlichen Leuten.